Naimat has reached to the point where both Sara and Baber are helpless and can’t do anything to actually save Bilal, their only son is battling for his life and no matter how much they want – it’s impossible for them to do anything. Maybe God has better plans for their child and he being sick might bring Sara and Baber closer. On the other hand Zara has countless problems with Baber making his son the center of attention and giving her less importance over his ex wife and his son. Apart from being selfish she’s right to require enough attention from her husband who’s just not willing to give it to her. She herself is a mother to be and expects Baber to be equally supportive at this condition. Bilal has finally showed some movement which looks promising and there’s a chance he might actually get better! Sara was overjoyed with this news and it’s obvious that she now sees some hope for her son. Sara begged Baber to apologies to Dr. Lodhi as the treatment of Bilal was being compromised and the hospital wanted them to pay bills. Now they know the importance of Dr. Lodhi and what a great man he is. Moreover, Sara began to taunt Baber on how he needs to get his life straight and focus more on his baby who’s healthy over Bilal who’s sick. Listening to her made Baber realize how she and Sara are poles apart and being a mother she can’t possibly understand his condition. She then tells him that she’s moving to Canada as she can’t live with him with this guilt on his shoulder in the form of Bilal. How can your own child be your guilt? It seem like Baber now regrets his decision of leaving a woman like Sara who only lives for others and knows how to compromise. Baber suddenly felt the rush of just stepping out of the house and he somehow reaches at his old house and just reminiscing everything – he sleeps on his bed. Looks like he really misses his old life which was simple and tension free. Do you think Baber will return to Sara? Is there any chance that could happen? Will Bilal get better? Is Baber and Zara’s relationship about to hit rock bottom? How will things get better for these three and Bilal? 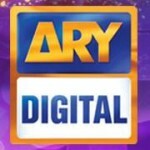 Don’t miss out on Naimat only on ARY Digital on Mondays at 8.00 pm.